Type a few keywords to find listed blueprints. 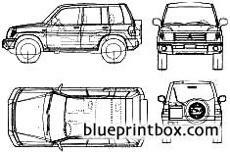 Blueprints from the same category. For non-personal use and/or publication: magazines, data and texts may be used, provided that full and clear credit is given to Blueprintbox with appropriate and specific direction to the original content i.e. a direct hyperlink back to the Blueprintbox source page.